During power outages, generating sets are known to come to one’s rescue. When these power outages occur, they cause a great hindrance and disturbance to people’s daily activities, plans, and events scheduled for the day. When this prolongs for hours or becomes frequent, it poses great problems. Residents of Morris Plains in New Jersey have also been experiencing these power cuts as a result of weather challenges and other circumstances. 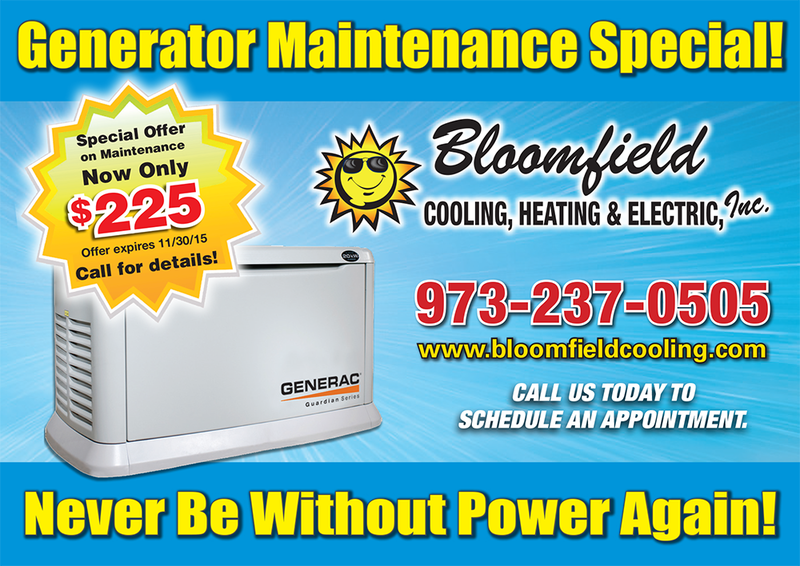 At Bloomfield Cooling, Heating and electrical services, our services cover all aspects of generator procurement, installation, and maintenance with an option to acquiring stand-by-generators. A layman might be confused in deciding on what generator to get and the terms and things to look for might look tedious and abstract to him for the fact that any generator he settles for must have the right capacity for his house. There can be excess and unnecessary costs as a result of buying the wrong generator, we‘ll take care of this for you. All that is involved is getting in touch with us. We assess your premises and get the total power requirements and match generators with it. We also look at the installation details and workability which our workmen are capable of carrying out professionally. Not only do generators need servicing and maintenance, it must also be done on a regular and scheduled basis. Our service engineers will do this and carry out maintenance on your generators. Our team of electricians are reliable, licensed, certified with a specialty in generator servicing and readily available to offer support and assistance at any time. All safety regulations and codes are being followed by our employees and we ensure strict compliance with the use of high-quality electrical cables and materials. Our prices are competitive and affordable with good service delivery, support and follow-up. There is a special 12-month credit financing option if you’d like to take care of your payment schedules. Bloomfield Cooling, Heating and Electrical service has been operating as a family owned establishment offering services to people of Morris Plains, New Jersey since 1988. 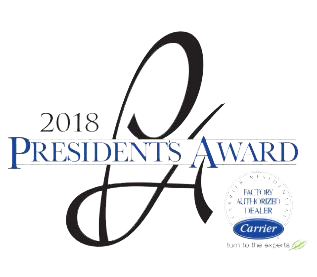 We’ve been awarded in the category of best HVAC and electrical company in the best of Essex readers choice contest award and also the super service award from Angie’s list for over ten years. All these are credible awards and they all give credence to our robust and efficient service delivery. Looking forward to your inquiries.